Popular historical memory of the past changes dramatically over time, and the way Americans have remembered the “First Thanksgiving” is a classic example. As I noted last time, for the first two centuries after the Pilgrims’ 1621 celebration, Americans attached almost no weight at all to the event. The reason for this was simple: no one remembered it. This changed in the 1840s and 1850s when a variety of Pilgrim documents shedding light on the 1621 celebration were rediscovered and published. Even then, however, Americans didn’t rush to embrace the First Thanksgiving as a key moment in the American founding. The story of the First Thanksgiving didn’t fit well with how Americans wanted to remember the past, and it contradicted how they wanted to celebrate Thanksgiving in the present and the future. To begin with, the evidence that was coming to light suggested that Native Americans had been right in the middle of the Pilgrims’ celebration, but the nation in the 1840s was committed to a policy of Indian removal. Second, the evidence cemented the perception of Thanksgiving as originating in New England at a time when tensions between North and South were rising to a critical level. Finally, the historical evidence underscored the Pilgrims’ conviction that Days of Thanksgiving should be proclaimed irregularly and should center on public worship. By the mid-1800s, however, Americans had generally reversed these criteria and seemed satisfied with the new pattern. 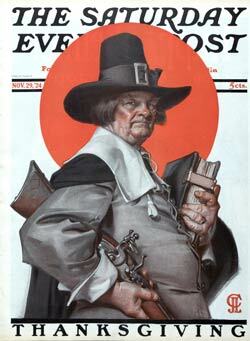 By the early 1920s the link between Thanksgiving and the Pilgrims was widely assumed, as this 1924 cover of the Saturday Evening Post attests. It was 1939 before an American president connected Thanksgiving explicitly with the Pilgrims. 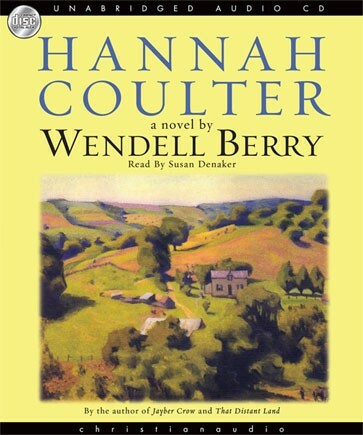 In the depths of the Great Depression, Franklin Roosevelt encouraged Americans to remember the Pilgrims, who “humbly paused in their work and gave thanks to God for the preservation of their community and for the abundant yield of the soil.” By the 1950s such references were almost obligatory. They were a staple of Dwight Eisenhower’s proclamations, and in 1961 John F. Kennedy took the opportunity in his first Thanksgiving proclamation to “ask the head of each family to recount to his children the story of the first New England thanksgiving.” Like the Jewish patriarch at Passover, American fathers were now to instruct future generations about the sacred origins of their celebration. The Pilgrims’ role as the founders of Thanksgiving was now unquestioned. As with the holiday’s link to Native Americans, Thanksgiving’s association with New England would also become less of a liability over time. Within a generation of Robert E. Lee’s surrender to Ulysses Grant at Appomattox, both North and South would begin to romanticize the Civil War, promoting sectional reconciliation through a “willful amnesia” that minimized the depth of the issues that had earlier divided them. As part of this larger process, the commemoration of Thanksgiving itself became gradually less politicized, and the day would come when white Southerners could adopt the Pilgrims as honorary ancestors without renouncing their regional loyalties. 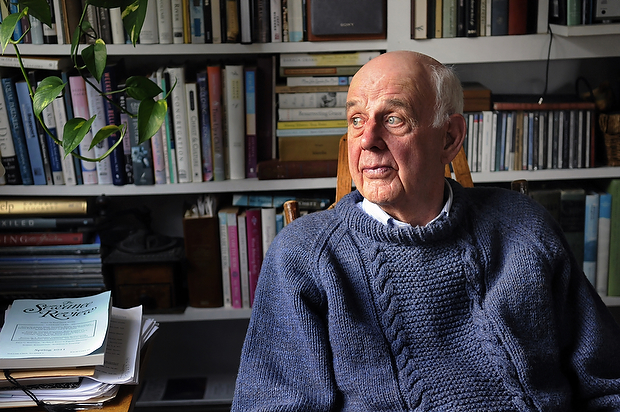 Finally, a number of well-meaning amateur historians re-wrote the history of the First Thanksgiving to transform it into a private, domestic event. 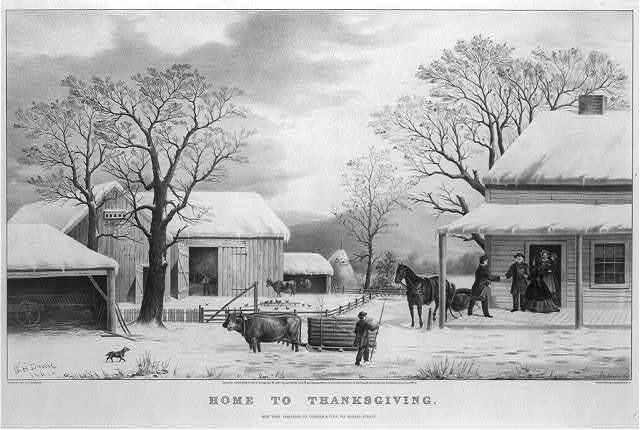 Whereas the Pilgrims’ 1621 feast likely had the feel of a community barbeque—with at least 150 people taking part in an outdoor celebration in which they ate with their hands while sitting on the ground—Americans by the mid-1800s associated Thanksgiving with homecoming, a time for loved ones to gather around the family table. And so they simply re-imagined the event to resemble their own custom, insisting that the Pilgrims had walked to church for a Thanksgiving service before returning to their individual homes for their private Thanksgiving dinners. While these changes opened the door for Americans gradually to embrace the Pilgrims, other changes in the late-nineteenth century made the adoption of the Pilgrims not only possible but desirable. The most important of these was a dramatic upsurge of immigration. By the 1890s, the most pressing political challenge facing the country was no longer the preservation of sectional harmony or conflict with Native Americans, but rather how to assimilate an unprecedented influx of new immigrants to the United States. From the 1880s into the early 1920s, immigrants from southern and eastern Europe—Poles, Italians, Russians, Greeks, Czechs, Armenians, Croats, and Ruthenians, among others—would flood into the United States by the millions, creating anxiety among the native born that their country was being overrun by inassimilable aliens. As human beings we always remember the past from the vantage point of the present, and in the late-nineteenth century native-born Americans increasingly surveyed the country’s history in the light of contemporary concerns about immigration. The effect on popular memory of the Pilgrims was dramatic. In 1841 Americans had recalled the Pilgrims primarily as New Englanders, or as Puritans, or as generic whites striving to coexist with Indians. By the dawn of the twentieth century they remembered them first and foremost as immigrants. More precisely, by 1900 they had transformed the Pilgrims into America’s model immigrants, the standard against which all newcomers should be measured. The department store Marshall Field and Company echoed this concern in a full-page Thanksgiving ad in 1920. 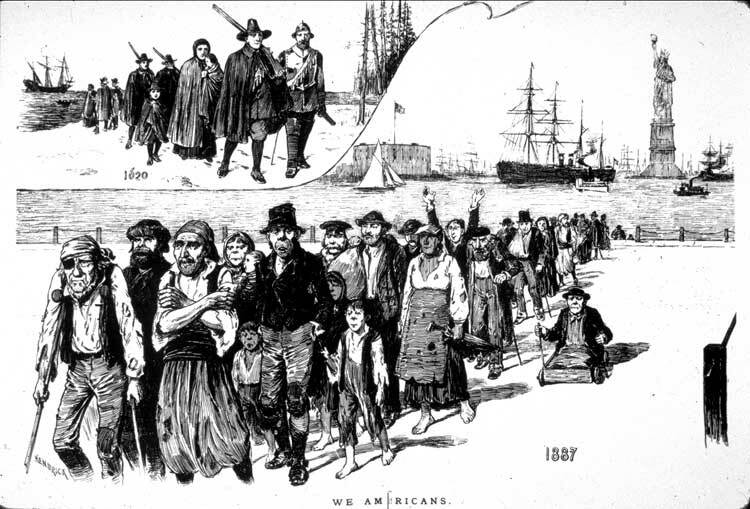 The advertisement featured in the foreground a large, stereotypical Pilgrim male standing on Plymouth Rock, and in the background a sea of immigrants entering the country through Ellis Island. “What metal do they bring to this melting pot?” the ad inquired. 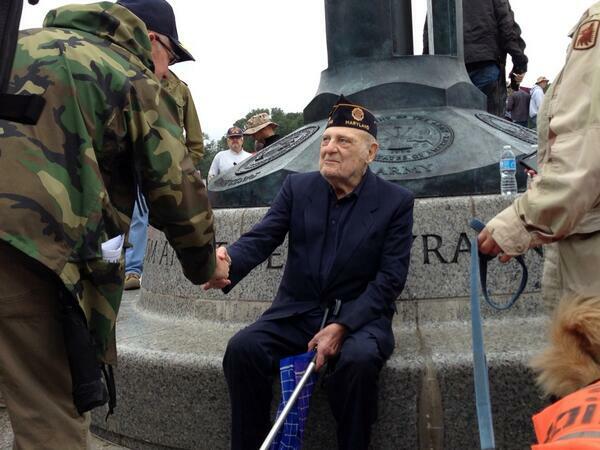 “Do they bear the precious ore of the early Pilgrims, or the dross of the disturber? . . . We want only those who—like the Pilgrims of old—landed here with gratitude on their lips and thanksgiving in their hearts.” The image from Life magazine below presented much the same visual message–absent the leading rhetorical question–as early as 1887. 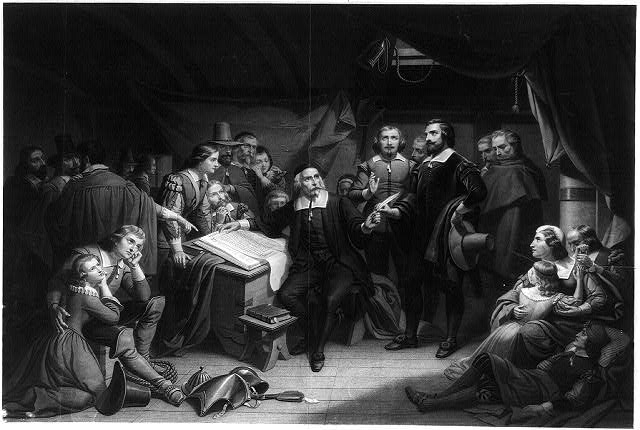 The more optimistic believed that the example of the Pilgrims could be used to “Americanize” immigrants. The Citizenship Committee of the American Bar Association found in the history of Thanksgiving an ideal context for inculcating “the principles and ideals of our government in the minds and hearts of the people.” Progressive educators agreed. Soon Thanksgiving materials proliferated in teachers’ magazines and published curricula, and by the 1920s a survey of elementary school principals revealed that Thanksgiving was the single most celebrated holiday. Our adopted Founders have been remarkably malleable, wouldn’t you say?